The following is a list of the gear I currently use. 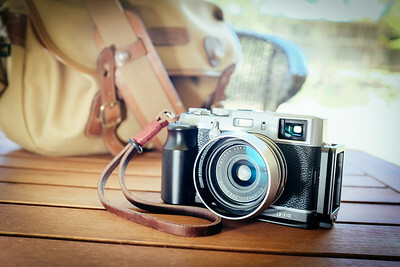 I'd been following all the fuss about the X100, I just had to know why. Certainly a love and hate relationship for me. But totally worth it. Liberating. Sold all my Nikon kit soon after. 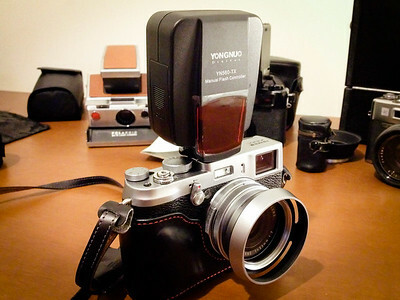 I know there's cheaper out there - bought with the camera so I could get some protection over that beautiful lens. Originally had a Kenko UV on the front. Being a big fan of the B+W filters I ordered this one from B&H - couldn't get the silver one in Australia. Bought with the B+W filter. Fastest at the time and with postage still half the price avail in Aust. 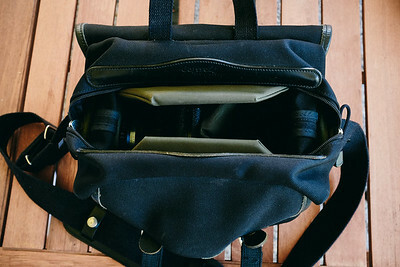 No need for lens cap - this cover fits snuggly over the lens hood. Fuji batteries are very expensive. I bought a couple of these from better batt - much cheaper. They seem to work as well as the original plus better batt provides a 400 day warranty and free next day shipping. Nice leather case provides useful extra grip and a cut out in the bottom for access to battery and memory card. 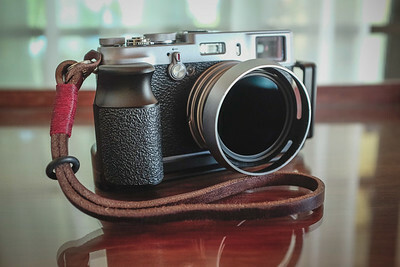 Didn't like the stiff fuji strap so I got one of these off ebay. Good quality and wearing in nicely. 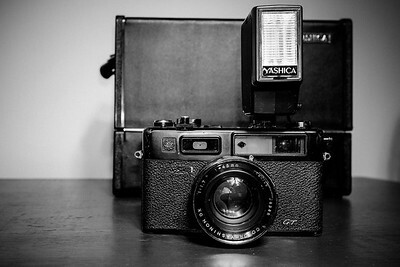 I bought an original X100 for sale on my work bulletin board. It's my back up camera and I was interested in how the Bayer sensor of the original would stack up against the X-trans. I have noticed some of the posterization that others have noted about with X100s Raw files in lightroom. The latest lightroom has corrected this issue significantly. So far I haven't noticed a significant difference between the cameras in good light. The s definitely does better in the low light stakes. 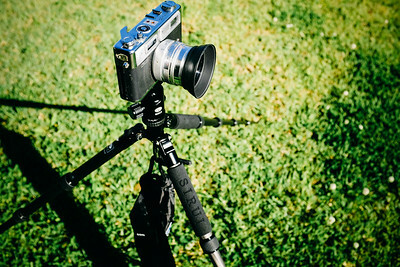 Given the original X100 was more likely to see landscape photography I decided to buy an L-Plate grip off eBay. I'd love to say I got the Really Right Stuff version but the eBay copy is a very good economical second best. I improved the smooth anodized grip with a self adhesive sole grip from Footpetals. The texture is not unlike the skin of the x100. Well, now I had an excuse to buy a Gordy hand strap. I ordered a long Russet Leather strap with Red wax string binding and integral russet leather bumper that arrived in a bit over 7 days to Australia. I softened the leather with some RM Williams leather conditioner and after little use it's become very comfortable. 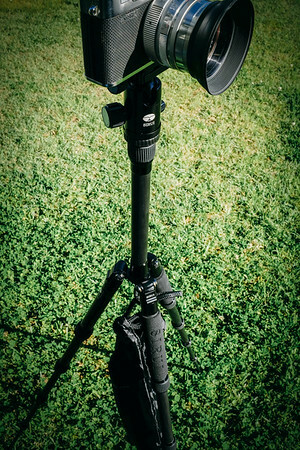 Combined with the L-Plate grip it's a refreshing change from the neck strap. I'm still not decided on what I like better. The neck strap is a little dorky if worn as a neck strap but very practical. Your hands are free when you need them. 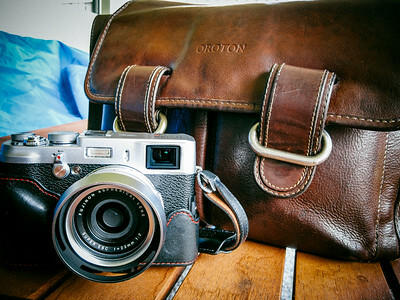 If I sling the neck strap across the body it looks less dorky but the raw leather side of the strap catches on my clothes when quickly swinging up the camera to shoot. 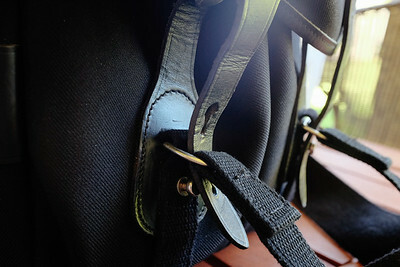 The Gordy strap is very secure but a pain if you need your hand for something. Removing your hand quickly, even with the long version of the strap can be difficult at times. Particularly if your sweating a little. Bought on eBay with fewer than 700 shots, this 5D was practically new. All original packaging and plastics. 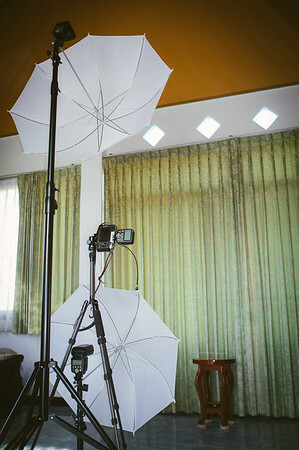 The camera would help keep my studio aspirations alive. My first L lens. I had enjoyed the very different view I would get from the 12-24mm f/4 I had for my Nikon I had. The widest I could achieve before this lens was 35mm with the x100. 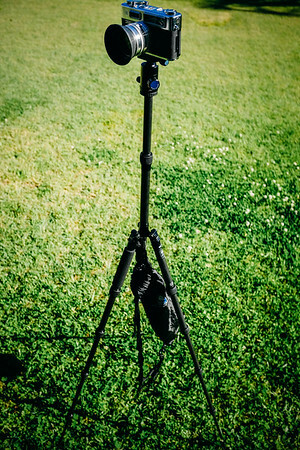 I decided I needed to find a wide angle for the Canon. This is a well regarded lens. Fast and quite sharp considering it's a wide angle. Canon's latest iteration of their 'nifty-fifty' bought for the 5D until funding was avail for an 85mm portrait lens. Actually thought I was bidding for and won the 85mm doh! - That said it is a beautiful lens and at 1.4 makes buttery dreamy portraits - getting the focus right at 1.4 is another matter. Perfect for detail shots and product photography - particularly food. Boy this thing is sharp!! Came with the 5D in original packaging and as new. 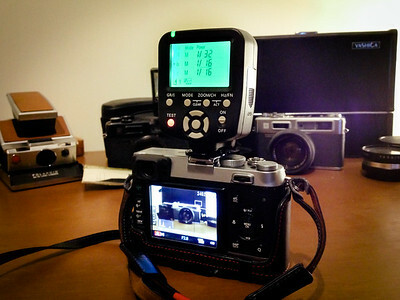 I like the L-Plate I put on the original X100 and thought I'd get the original RRS plate for the 5D. Quite surprisingly the fit is not as good as I had hoped for this prestige brand. I've written to the company but not heard anything back as yet. Boy, these CF cards are expensive!!! This and the following two cameras were given to me by a friend of my wife. 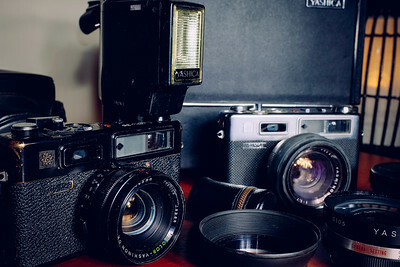 They belonged to her late husband and see knew I had a passion for photography and would appreciate them. The GT has seen a few rolls of film. The Electro being a range finder is somewhat challenging to focus, some of my shots have been less than ideal. 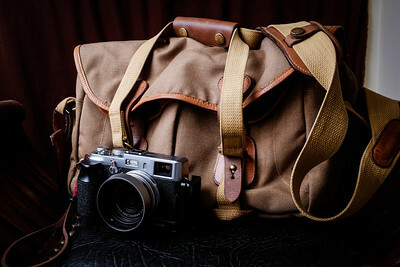 This was the first case I bought for the X100s. Good size for just camera batts and memory. Got this well worn satchel and threw in an insert from ebay. Really impressed with the quality of the insert. Perfect size for the satchel. 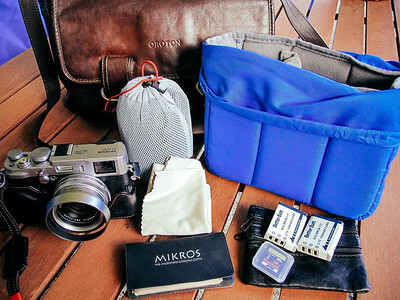 I fit the x100 comfortably in one compartment and use the other for cleaning cloths, filters etc. 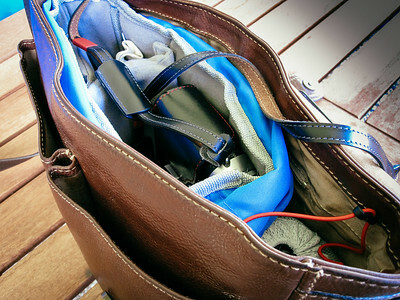 The pockets on the satchel take my batteries and memory cards which I keep together in a small leather money bag. 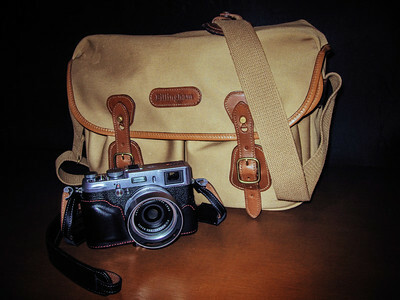 I aways wanted a Billingham, so I saw this one going cheap on ebay and snapped it up. Perfect for street walking particularly in bad weather. I was always worried about the weather with the Oroton bag. Worries be gone. 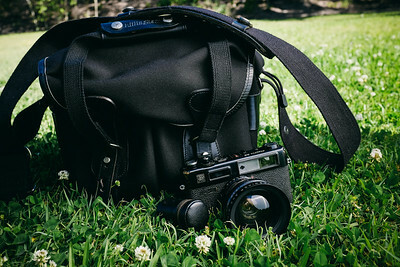 I picked this bag up to provide a house for my 'not yet acquired' X-PRO-2. Space for the lenses and somewhere to attach my tripod. Now waiting for details of the release. Seems I can't stop at one. This beautiful bag had to be mine - bought on fleabay. Gracefully aged and with heaps of character. Will probably house my flash gear eventually. I did buy it to act as a nice fishing bag. Ironic really seeing that that is exactly how Billingham started. 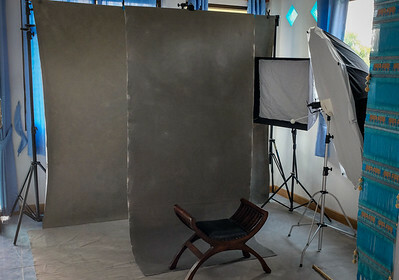 Godox 50x70cm Portable softbox and grid - Perfect hairlight - and surprisingly good quality! !